The work of the Holy Spirit changes from day to day, rising higher with each step; the revelation of tomorrow is even higher than today’s, step by step climbing ever higher. Such is the work by which God perfects man. If man cannot keep pace, then he may be left behind at any time. If man does not have an obedient heart, then he cannot follow to the end. The former age has passed; this is a new age. And in a new age, new work must be done. Particularly in the final age in which man will be perfected, God will perform new work ever more quickly. Therefore, without obedience in his heart, man will find it difficult to follow the footsteps of God. God does not abide by any rules, nor does He treat any stage of His work as unchanging. Rather, the work He does is ever newer and ever higher. His work becomes more and more practical with each step, more and more in line with the actual needs of man. Only after man experiences this kind of work can he attain the final transformation of his disposition. Man’s knowledge of life reaches ever higher levels, and so likewise the work of God reaches ever higher levels. Only in this way can man be made perfect and become fit for God’s use. God works in this way on the one hand to counter and reverse the notions of man, and on the other to lead man into a higher and more realistic state, into the highest realm of belief in God, so that in the end, the will of God can be done. All those of a disobedient nature who willfully oppose shall be left behind by this stage of God’s swift and furiously advancing work; only those who willingly obey and who gladly humble themselves can progress to the end of the road. In this kind of work, all of you should learn how to submit and how to put aside your notions. You should be cautious in every step you take. If you are careless, you will surely become one who is spurned by the Holy Spirit, one who disrupts God in His work. … The work done by God differs from period to period. If you show great obedience in one phase, yet in the next phase show less or none at all, then God shall desert you. If you keep pace with God as He ascends this step, then you must continue to keep pace when He ascends the next. Only then are you one who is obedient to the Holy Spirit. Since you believe in God, you must remain constant in your obedience. You cannot simply obey when you please and disobey when you do not. This kind of obedience does not meet with God’s approval. If you cannot keep pace with the new work I fellowship and continue to hold on to the former sayings, then how can there be progress in your life? God’s work is to supply you through His words. When you obey and accept His words, then the Holy Spirit shall surely work in you. The Holy Spirit works exactly in the way I speak. Do as I have said, and the Holy Spirit will promptly work in you. I release a new light for you to see and bring you into the light of the present time. When you walk into this light, the Holy Spirit will immediately work in you. The lowest standard that God requires of people is that they be able to open their hearts to Him. If man gives his true heart to God and says what is really within his heart to God, then God is willing to work in man; God does not want the twisted heart of man, but his pure and honest heart. If man does not truly speak his heart to God, then God does not touch man’s heart, or work within him. People believe in God, love God, and satisfy God by touching the Spirit of God with their heart, thereby obtaining His satisfaction; when engaging with God’s words with their heart, they are therefore moved by the Spirit of God. If you wish to achieve a proper spiritual life and establish a proper relationship with God, you must first give your heart to Him, and quiet your heart before Him. Only after you have poured your whole heart into God can you gradually develop a proper spiritual life. If people do not give their heart to God in their belief in Him, if their heart is not in Him and they do not treat His burden as their own, then everything they do is cheating God, and it is all the behavior of religious people—this cannot receive God’s praise. God cannot get anything from this kind of person; this kind of person can only serve as a foil to God’s work, like a decoration in the house of God, taking up space, and is a good-for-nothing—God does not use this kind of person. In such a person, not only is there no opportunity for the work of the Holy Spirit, but even more, there isn’t any value of perfection. This type of person is the real “walking dead.” They have no components that can be used by the Holy Spirit—they have all been appropriated by Satan, corrupted to the extreme by Satan, and they are the object of God’s elimination. Currently the Holy Spirit is not only using people by putting their virtues into play, but also perfecting and changing their shortcomings. If your heart can be poured into God and keep quiet before Him, then you will have the opportunity and the qualifications to be used by the Holy Spirit, to receive the enlightenment and illumination of the Holy Spirit, and even more, you will have the opportunity for the Holy Spirit to make up for your shortcomings. When you give your heart to God, you can enter more deeply into the positive aspect and be on a higher plane of insight; in the negative aspect, you will have more understanding of your own faults and shortcomings, you will be more eager to seek to satisfy God’s will, and you will not be passive, and will actively enter in. This will mean that you are a correct person. The Holy Spirit works by this principle: Through people’s cooperation, through them actively praying, searching and coming closer to God, results can be achieved and they can be enlightened and illuminated by the Holy Spirit. It is not the case that the Holy Spirit acts unilaterally, or that man acts unilaterally. Both are indispensable, and the more that people cooperate, and the more they pursue the attainment of the standards of God’s requirements, the greater the work of the Holy Spirit. Only people’s real cooperation, added to the work of the Holy Spirit, can produce real experiences and the substantive knowledge of God’s words. 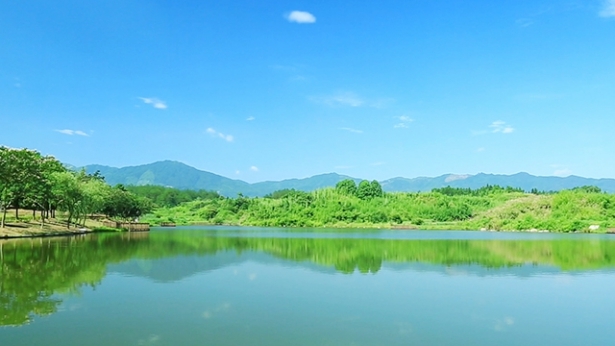 Gradually, through experiencing in this way, a perfect person is ultimately produced. God does not do supernatural things; in people’s conceptions, God is almighty, and everything is done by God—with the result that people wait passively, do not read the words of God or pray, and merely await the touch of the Holy Spirit. Those with a correct understanding, however, believe this: God’s actions can only go as far as my cooperation, and the effect that God’s work has in me depends on how I cooperate. When God speaks, I should do all I can to seek and strive toward God’s words; this is what I should achieve. It can be seen from experience that one of the most important issues is quieting one’s heart before God. It is an issue that concerns people’s spiritual life, and the growth of their life. Only if your heart is at peace before God will your pursuit of the truth and of changes in your disposition bear fruit. Because you come burdened before God and you always feel that you are lacking too much, that there are many truths that you need to know, much reality that you need to experience, and that you should give every care to God’s will—these things are always on your mind, and it is as if they are pressing down on you so hard that you can’t breathe, and thus you feel heavy of heart (but not in a negative state). Only people such as this are qualified to accept the enlightenment of God’s words and be moved by the Spirit of God. It is because of their burden, because they are heavy of heart, and, it can be said, because of the price they have paid and the torment they have suffered before God that they receive His enlightenment and illumination, for God does not give anyone special treatment. He is always fair in His treatment of people, but He is also not arbitrary in His provision to people, and does not give to them unconditionally. This is one aspect of His righteous disposition. In real life, most people have yet to attain this realm. At the very least, their heart has yet to completely turn to God, and thus there has still not been any great change in their life disposition. This is because they only live amid God’s grace, and have yet to gain the work of the Holy Spirit. The criteria for God’s use of people are as follows: Their heart turns to God, they are burdened by the words of God, they have a heart of yearning, and they have the resolve to seek the truth. Only people such as this can gain the work of the Holy Spirit and frequently gain enlightenment and illumination. There is one condition for the work of the Holy Spirit within people. As long as they thirst and seek and are not half-hearted or doubtful about God’s actions, and they are able to uphold their duty at all times, only this way can they gain the work of the Holy Spirit. In each step of God’s work, what is required of mankind is enormous confidence and seeking in front of God—only through experience are people able to discover how lovable God is and how the Holy Spirit works in people. If you do not experience, if you do not feel your way through that, if you do not seek, you will gain nothing. You must feel your way through your experiences, and only through your experiences can you see God’s actions, and recognize His wondrousness and unfathomableness. There is a rule to God’s perfection of people, which is that He enlightens you by using a desirable part of you so that you have a path to practice and can separate yourself from all negative states, helping your spirit attain release, and making you more able to love Him. In this way you are able to throw off the corrupt disposition of Satan. You are artless and open, willing to know yourself, and willing to put truth into practice. God sees that you are willing to know yourself and are willing to put truth into practice, so when you are weak and negative, He enlightens you doubly, helping you know yourself more, be more willing to repent for yourself, and be more able to practice the things that you should practice. Only in this way is your heart peaceful and at ease. A person who ordinarily pays attention to knowing God, who pays attention to knowing himself, who pays attention to his own practice will be able to frequently receive God’s work, to frequently receive guidance and enlightenment from God. Even though in a negative state, he is able to turn around immediately, whether due to the action of conscience or due to enlightenment from God’s word. … For every utterance of God, after you have read it and you have gained an understanding, you shall put it into practice. Regardless of how you used to practice before—perhaps in the past your flesh was weak, you were rebellious, and you resisted—this is not a big deal, and it can’t obstruct your life from growing today. As long as you are able to have a normal relationship with God today, then there is hope. If for every time that you read God’s words, you have changes and allow other people to see that your life has transformed for the better, it shows that you have a normal relationship with God and that it is put right. God does not treat people based on their transgressions. As long as you are able to not rebel again and not resist again after you have understood and are aware, then God will still have mercy on you. When you have this understanding and the will to pursue being perfected by God, then your condition in God’s presence will be normal. No matter what you do, consider: What will God think if I do this? Will it benefit the brothers and sisters? Will it be beneficial to the work of God’s house? Examine your intentions in your prayer, fellowship, speech, work, and contact with people, and examine whether your relationship with God is normal or not. If you are unable to distinguish your intentions and thoughts, then you have no discrimination, which proves that you understand too little about truth. If you are able to have a clear understanding of everything that God does, see things according to God’s word and see things by standing on the side of God, then your viewpoints will be correct. Therefore, to build a good relationship with God is a top priority for anyone believing in God; everyone should treat it as the most important task and as their major life event. Everything you do should be weighed against whether or not you have a normal relationship with God. If your relationship with God is normal and your intentions are correct, then do it. In order to maintain a normal relationship with God, you can’t be afraid of losing out on personal interests, you can’t allow Satan to prevail, you can’t allow Satan to find anything against you, and you can’t allow Satan to make you into a laughing stock. Such an intention is a manifestation that your relationship with God is normal. It is not for the flesh, but rather it is for peace of spirit, it is for obtaining the work of the Holy Spirit and for satisfying the will of God. If you are to enter into a correct state, you must build a good relationship with God, you must set right your viewpoint of belief in God. It is to allow God to obtain you, to allow God to reveal the fruits of His words in you, and to enlighten and illuminate you even more. This way you will enter into the correct manner. God works in those who pursue and treasure His words. The more you treasure God’s words, the more His Spirit will work in you. The more a person treasures God’s words, the greater his chance of being perfected by God. God perfects those who truly love Him. He perfects those whose hearts are at peace before Him. If you treasure all of God’s work, if you treasure God’s enlightenment, if you treasure God’s presence, if you treasure God’s care and protection, if you treasure how God’s words become your reality and provision for your life, you are most after God’s heart. If you treasure God’s work, if you treasure all the work that He has done upon you, He will bless you and cause all that is yours to multiply. The Holy Spirit works according to the words of Christ, and works also according to people’s acceptance of and submission to Christ. Only if people accept Christ and submit to Christ can they receive the work of the Holy Spirit. If people resist Christ or rebel against Christ, then they will not have the work of the Holy Spirit. Whether someone’s belief in God can bring them salvation is decided by whether or not they can truly accept and submit to Christ. The work of the Holy Spirit is based entirely on a person’s acceptance of and submission to Christ. In the Age of Grace, the work of the Holy Spirit was carried out according to people’s acceptance of the Lord Jesus, submission to Him, and worship of Him. 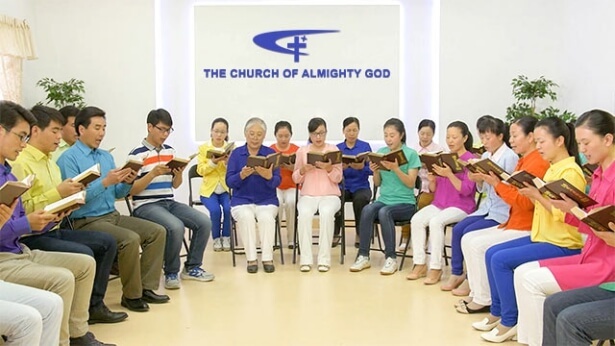 In the Age of Kingdom, the work of the Holy Spirit is carried out according to people’s acceptance of Almighty God, submission to Almighty God, and worship of Almighty God. In the last days, the Holy Spirit works according to the words of Almighty God, in order to bring believers into the reality of the words of God and have them reach salvation and perfection. This is the basis and principle of the work of the Holy Spirit. Many religious leaders have died as punishment for resisting or condemning Christ. Many religious people have lost the work of the Holy Spirit and fallen into darkness through their refusal to accept Christ of the last days. In the house of God, many people’s lives have withered and they have quit because of their persisting notions of Christ, and still many others have been sifted out by the work of the Holy Spirit by believing only in God’s Spirit and not in Christ. These things are all caused by people not accepting and submitting to Christ. Whether or not a believer has the work of the Holy Spirit is completely decided by their attitude toward Christ. If a person believes only in the God in heaven, and does not submit to Christ, they will never receive the work of the Holy Spirit. Right now, there are still many people in various different churches who only believe in the Spirit of God, but do not believe in Christ, and thereby lose the work of the Holy Spirit. There are many who only believe in the words of Christ, but do not submit to Christ, and are therefore loathed by God. Therefore, accepting Christ and submitting to Christ are crucial to receiving the work of the Holy Spirit. Only if someone accepts Christ and submits to Christ will they attain salvation and be perfected. It can therefore be seen that the work of the Holy Spirit in each age has its basis and principle. So many people still don’t see the importance of submitting to Christ. The Holy Spirit works totally according to the words of Christ. If people cannot accept Christ’s words, and continue to hold notions about and resist God’s words, then they absolutely cannot receive the work of the Holy Spirit. Many people only pray in the name of Almighty God, but do not submit to the work of Christ, and do not completely accept Christ’s words. People like this are antichrists, and absolutely cannot receive the work of the Holy Spirit. The work of the Holy Spirit is mainly to guide people into entering God’s word and understanding the truth. What aspects does entering God’s word involve? 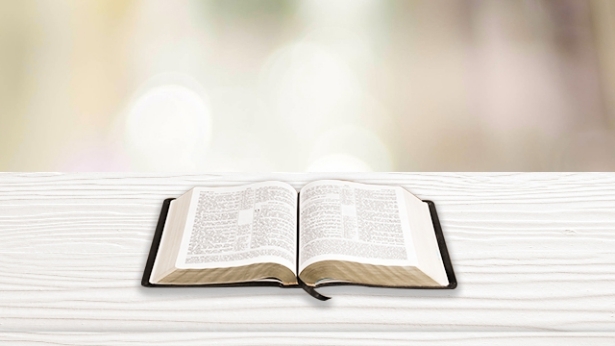 Entering God’s word does not mean that someone reads one particular sentence of God, ponders it a little and then has a bit of an understanding. This is not equivalent to entering God’s word. This is not how it is. The most important thing is to enter God’s word through experience. This “experience” covers a broad range of experiences. Man’s experience is not just one aspect of experience, but is multi-faceted. Fulfilling one’s duty is experiencing God’s word. Putting the truth into practice is also experiencing God’s word. Particularly, going through various kinds of trials and refinement is even more so experiencing God’s word. As long as you experience God’s word, regardless of the context or occasion, you will be able to obtain the Holy Spirit’s work. For example, when we encounter trials, we pray to God and we try to grasp God’s will. As a result, the Holy Spirit enlightens us and allows us to understand God’s will. This is so because it is related to entering God’s word. … Additionally, in the process of fulfilling our duties, and within the experience of our daily lives, regardless of the situation, as long as we pray to God, seek the truth and seek to grasp God’s will, we will be able to obtain the Holy Spirit’s work. This is because the Holy Spirit guides us into entering God’s word and the truth. There are some people who have a lot of experiences when it comes to this aspect. Regardless of what situation they encounter, and what kind of people they meet, they pray to God and ask God to enlighten them and guide them, and give them wisdom and intelligence. When people constantly experience God’s work in this way, they will understand a lot of God’s words. They will know how they should act and put it to good use in specific practices. This is the way to entering God’s word. Previous：What is the work of the Holy Spirit? How is the work of the Holy Spirit manifested? Next：What is the work of evil spirits? How is the work of evil spirits manifested?